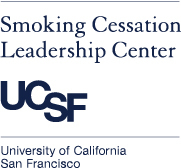 The UCSF Smoking Cessation Leadership Center (SCLC) presented this webinar on February 7, 2019 at 1:00 pm Eastern Time / 10:00 am Pacific Time (60 minutes). The Smoking Cessation Leadership Center (SCLC) hosted this webinar on February 7, 2019 at 10:00 am Pacific time (60 minutes). You may claim CME credit here for your participation after the webinar has concluded. To improve sophistication among participants in their understanding of effective strategies to reduce and prevent tobacco use, including opportunities during OSH’s 2019 Year of Cessation to support cessation efforts through coordination and collaboration and by leveraging existing resources. Overview of tobacco use in the U.S.
You will need a CMECalifornia (UC Online) account to register and claim CME credit for this activity. If you do not already have an account with CMECalifornia.com, please click Create an Account to establish one. You may then login with your email address and password. You will receive an access code upon verification of your participation. Use the access code provided by the host to proceed in claiming credit. The fee to register for and claim CE credit is $45. For a limited time, use the discount code SAMHSA23 to receive free CE credit, courtesy of the Smoking Cessation Leadership Center. Cancellations and Refunds: Cancellations should be made in writing within 7 days of enrollment. Refunds will only be made in the event that technical difficulties prevent completion of the activity, or if no interaction with the material occurred because of inadvertent or mistaken enrollment, or expiration of the activity before the learner had the opportunity to complete it fully. Fees can be transferred to another activity in the case of mistaken enrollment. To obtain CME credit, participants must attend the entire webinar and complete a short evaluation survey. Your certificate will be available immediately for print or download upon completion of the entire activity. The estimated time to complete this live web activity is 60 minutes, which is equivalent to 1.0 credits. All planning committee members and reviewers have disclosed they have no relevant financial interest/arrangement or affiliation with any commercial companies who provide products or services relating to their presentation(s) in this continuing medical education activity. Dr. Corinne Graffunder has disclosed she has no financial interests/arrangements or affiliations with ACCME-defined commercial interests related to her presentation in this continuing medical education activity. No instructor or facilitator is permitted to promote or advocate for a single modality of treatment that is discriminatory or likely to harm clients, based upon current accepted standards of practice. All CAMFT-certified education must provide training on how to treat all clients in an ethically and clinically sound manner. UCSF designates this live activity for a maximum of 1.0 AMA PRA Category 1 Credits™. Physicians should claim only the credit commensurate with the extent of their participation in the activity. The National Commission on Certification of Physician Assistants (NCCPA) states that the AMA PRA Category 1 Credits™ are acceptable for continuing medical education requirements for recertification. The California Board of Pharmacy accepts as continuing professional education those courses that meet the standard of relevance to pharmacy practice and have been approved for AMA PRA category 1 credit™. If you are a pharmacist in another state, you should check with your state board for approval of this credit. (PENDING APPROVAL) This program has been approved for a maximum of 1.0 contact hour Continuing Respiratory Care Education (CRCE) credit by the American Association for Respiratory Care, 9425 N. MacArthur Blvd. Suite 100 Irving TX 75063. Course # tbd. The University of California, San Francisco School of Medicine (UCSF) is approved by the California Association of Marriage and Family Therapists to sponsor continuing education for Licensed Clinical Social Workers (LCSW), Licensed Clinical Marriage and Family Therapists (LMFT), Licensed Professional Clinical Counselor (LPCC) and Licensed Educational Psychologists (LEP). UCSF maintains responsibility for this program/course and its content. This course meets the qualifications for 1.0 hours of continuing education credit for LMFT's, LCSW's, LPCC's and/or LEP's as required by the California Board of Behavioral Sciences.